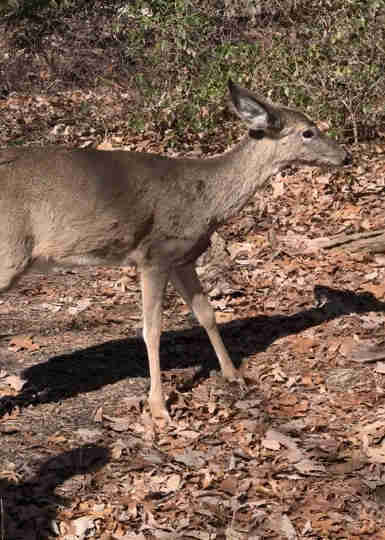 Herds of white-tailed deer grazing in backyards and on the side of roads are a familiar sight to New Jersey residents, especially as the weather turns warm. 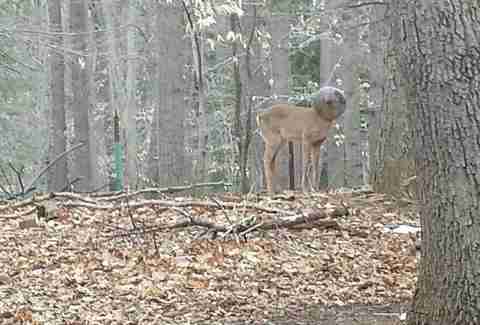 But one homeowner in Colts Neck got the surprise of the season last week after spotting an animal unlike anything seen before. In the dark, the animal appeared to have a furry brown body, spindly legs and a perfectly circular head, almost like an astronaut’s helmet. On closer examination, the homeowner realized the otherworldly creature was actually a young buck — and he was in trouble. 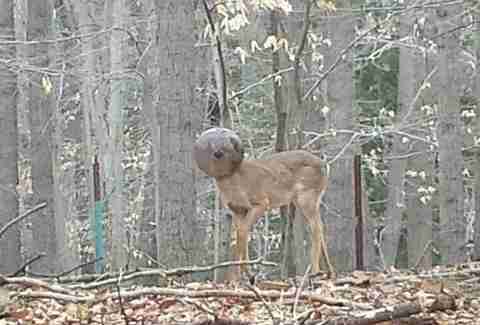 The deer had gotten his head trapped in a glass bowl, and if the heavy headpiece wasn’t enough to make him stand out, the buck was made even more noticeable by the fact that he was traveling alone. Ostracized by his family, the buck could only attempt to eat and drink after his herd left their grazing spot. “Certain species will treat members as outcasts if they look different or are injured so to not invite predators or disrupt the integrity of the herd,” the Monmouth County SPCA (MCSPCA) noted in a press release. The resident knew time was of the essence to save the young buck, who had not been able to feed on budding trees and vegetation for days due to the glass barrier around his head. So the homeowner contacted the MCSPCA for help, along with the NJ Division of Fish and Wildlife. 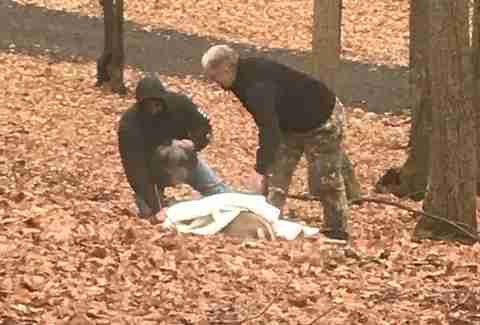 While the deer appeared to have regained his strength once his head was freed, he still needed some help through Easter weekend. 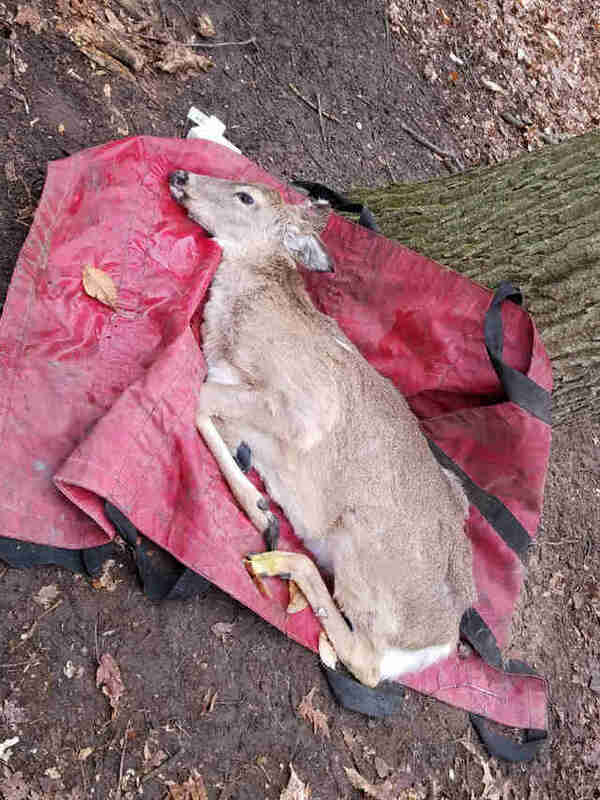 The MCSPCA received another call from the concerned neighbor later that day, when he noticed the deer had laid back down and was having difficulty breathing, too weak to find his herd. 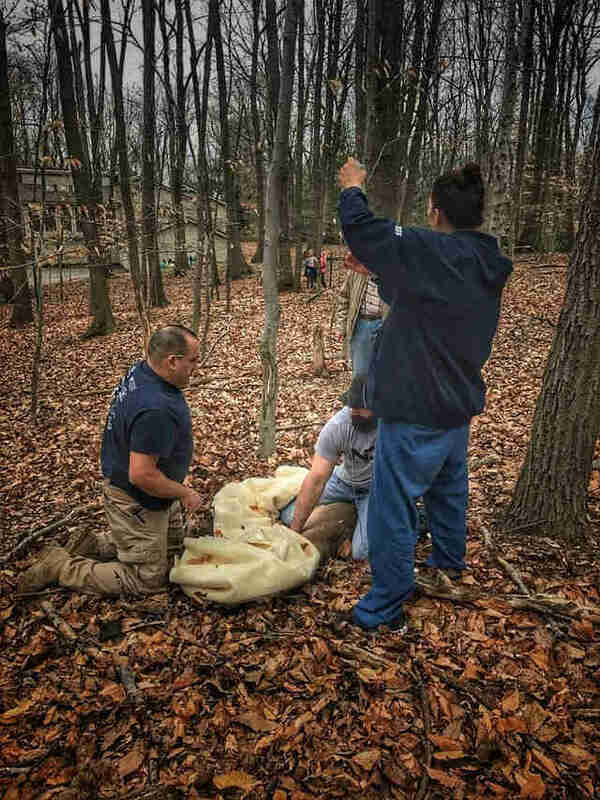 Rescue workers watched as the deer recovered, rising to his feet, taking a few wobbly steps and then bolting over a fence and into a wooded area. After surviving a difficult winter of snow and scarcity, made worse by an unfortunate run-in with a discarded light fixture, the young buck can finally enjoy a time of renewal and happiness. To help other animals in need, you can make a donation to the Monmouth County SPCA here.